Hong Kong (AsiaNews) – The Church of Hong Kong is preparing to welcome more than 2,800 new Christians, who will be baptised for Easter. Starting on 24 March and in the last three Sundays of Lent, the bishop examined the journey of faith of the catechumens in eight ceremonies of scrutiny held across the diocese. On the first of the three Sundays, a total of 1,720 catechumens, godparents and catechists took part in two ceremonies of scrutiny at the St Francis of Assisi’s Church, in Shek Kip Mei. The apostolic administrator of Hong Kong, Card John Tong Hon (pictured), led the scrutiny during the service concelebrated by Card Joseph Zen Ze-kiun, bishop of the diocese until 2009. The catechumens from the parishes of Hong Kong Island were present at the scrutiny ceremonies in Shek Kip Mei. 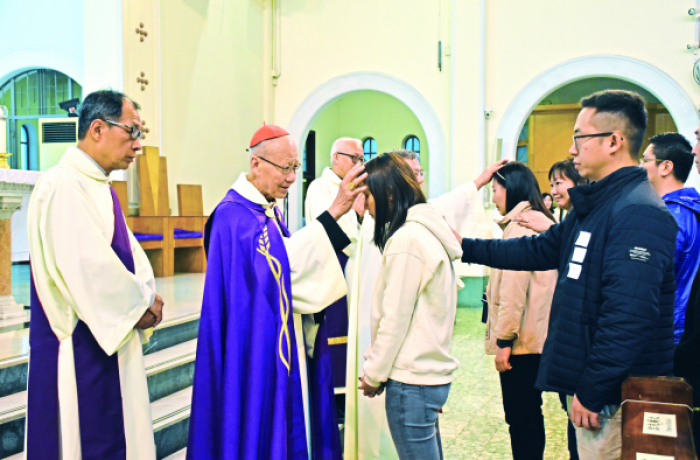 The service held at the Church of Saint Benedict, in Sha Tin, on 31st March, was reserved for those from the parishes on the New Territories. The future Christians from the parishes of Kowloon took part in the services celebrated two days ago in Shek Kip Mei and at St Andrew’s Church (Hang Hau). Speaking to AsiaNews, Fr Giorgio Pasini, regional superior of the Pontifical Institute for Foreign Missions (PIME) in the former British colony, said that the ceremonies of scrutiny are "heartfelt moments" for the Church of Hong Kong. Baptism involves mostly adults who come to it after a period of preparation that lasts a year and a half, almost two. Generally, "The catechumens come from every walk of life. Many are professionals with a great cultural background. Friends or family usually introduce them to the Church, but they can also gather information on the internet. In several cases, they are drawn by the positions of the Church on issues such as human rights."